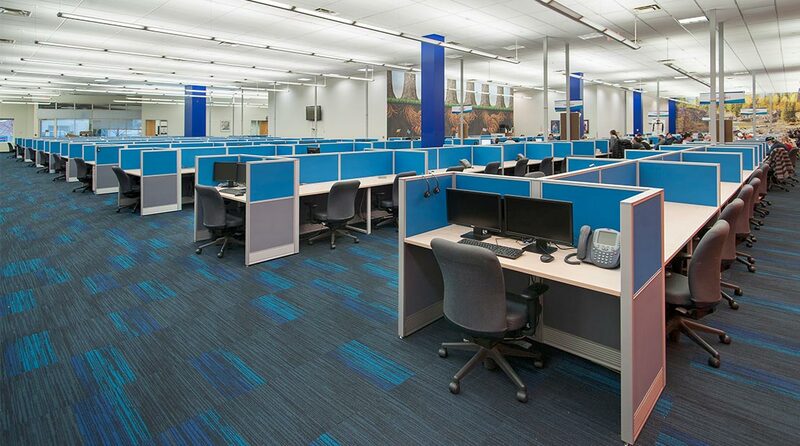 This project saw a complete transformation of a very dated space, to a vibrant fun place to work. 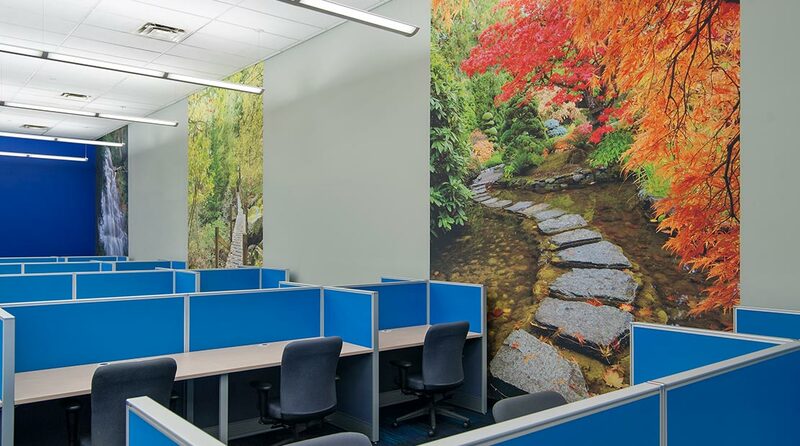 Jonathan Morgan & Company worked with the client Convergys, and contractor Newcore to make this a safe place to work while undergoing a major refresh and update. This building was originally a warehouse, which was converted to an office / call centre with very high ceilings and an open plan. 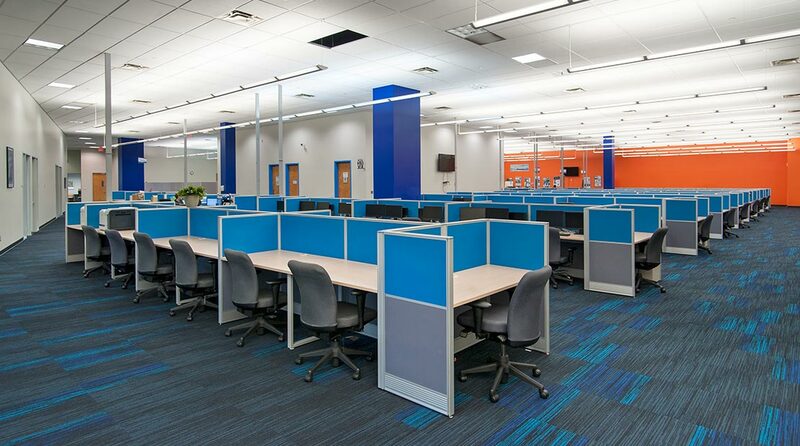 JM&C was privileged to participate in this incredible space which was fully outfitted with new training rooms, lockers room, completely new design and color palette for three huge production floors. 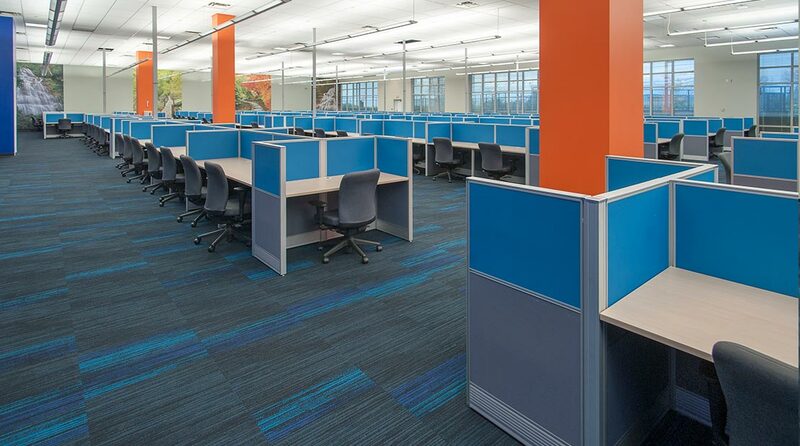 The works included removing and adding walls and pillars, new furnishings, paint, flooring and murals.